Even modest jewellery collections can become an unholy, tangled mess without the right storage. It doesn’t have to be anything fancy, it just needs to be fit for purpose and keep all your favourite pieces handy and in good condition. If you find yourself constantly missing one of a pair of earrings, or your fine gold chains mysteriously develop tight little knots, these tips are for you and include some for the crafty and some you can just pick up and use without effort. Create a shadow box from an old wooden drawer. Give it a fresh lick of paint, affix a mirror in the middle of what was the base, then screw in hooks around the mirror for a bespoke, original necklace station. A simple pegboard from the hardware shop is an easy fix for arranging hanging storage. Spray paint wood or metal mug trees to hang short necklaces. Cover a corkboard with pretty fabric, then add some tacks or pins to hang necklaces from. You may need to keep this for lighter-weight, delicate, items. Get creative with sticks, twigs, and string for a charming, rustic look. Use the string to bind the sticks together at right angles, creating branches to hold necklaces. You could either hang this on the wall, or glue it to a base so it’s freestanding and portable. Add hooks to a wooden clothes hanger, or simply loop more sturdy necklaces across the horizontal bar. Spray paint a cheese grater, then hang earrings in the holes. They’re nicely shaped for easy hooking. Fix wire horizontally across the back of a picture frame (with the picture removed so you just have the frame). Add chicken wire mesh to create a similar effect that gives more hanging space. Buy a length of chunky chain from the hardware or DIY store, then string this between two hooks on the wall. The links are ideal for hooking earrings through. Louvre doors or shutters, cut to a size that suits, are also handy earring holders if your collection is large. Ice cube trays have neat little compartments for small earrings. Slender empty bottles are quick and easy bracelet holders. Sturdy cardboard jewellery or gadget gift boxes can be pinned or clipped together to form compartments inside drawers. Create a bangle box by pushing wood doweling right through a cardboard storage box. When threaded onto the racks, bracelets and bangles are safety suspended and protected. Upcycle a wood or metal kitchen roll holder. Roll up squares of felt and attach the rolls inside a picture frame for a bespoke ring bed. Use votive candle holders or bonbon dishes as ring trays. Fold groups of pages in an old book in half, hot gluing them into place at the base. Rings sit neatly in to the top folds. Use wood or polystyrene cones from craft shops. You can decorate them as you wish, use them singly or glue them in groups to a tile base. 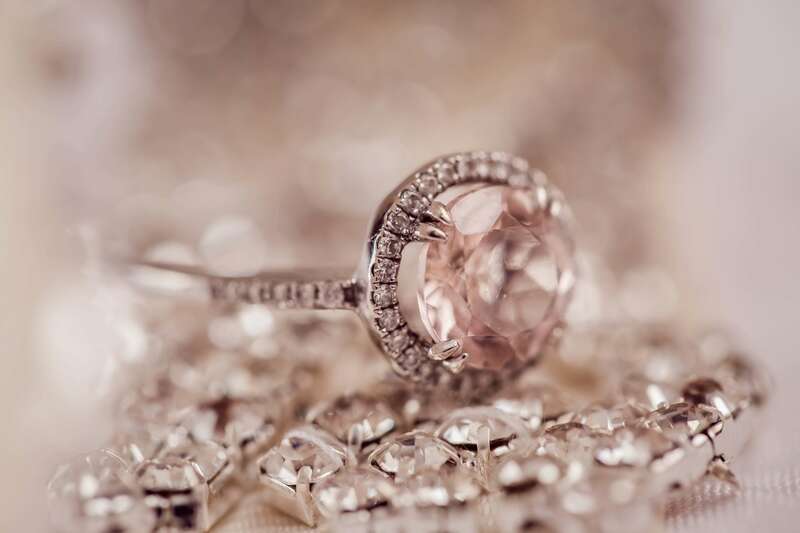 There are a hundred and one different ways to keep jewellery organised and in good condition in the home, but what about those really valuable items? Put expensive gems, heirloom pieces with a monetary or sentimental value, or just things you love but don’t wear, into self storage. We can’t all have the luxury of a concealed safe at home, but small storage areas in convenient town locations are a sound alternative. With the high-ticket items safely under lock and key, you can focus on the everyday pieces without worrying about loss through theft or domestic emergency. This is a fantastic post, great tips!